Amazing Spaces – Floating Egg! 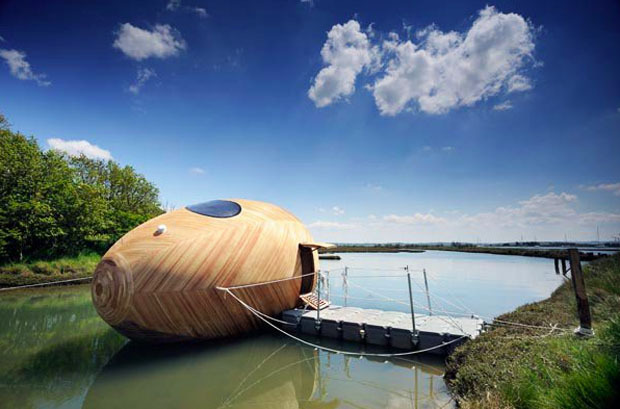 The second series of George Clarkes Amazing Spaces starts tonight (Thursday 24th October) on Channel 4 and this week he meets an artist who has commissioned an incredible giant wooden floating egg to use as a work/ living space. If a floating egg floats your boat then give it a watch, if you like your watercraft more watercraft shaped then drop in and see us at Terra Nautica where we have a wide range of un-egg shaped boats and jet skis for you to see, the kettle is on.